I try to eat well every day. Not just healthy, but well. Fresh fruits and vegetables, homemade meals with whole ingredients, fresh baked pastries and just a smidgen of REAL butter. Yes, I think I do a good job of eating well most of the time. Yesterday, was just not one of those days. It was a day when exhaustion took over after a 12 hour work day and I found myself home at 8:30pm (a mere hour before my self-imposed bed time) standing in front of an open fridge looking at all the food that I just did not feel like eating. Salad. Nope, I had that for lunch, plus I’d have to make a salad dressing (because that is oh so difficult). Sandwich? Nah, I had a croissant for breakfast and adding bread to that would be carb-overload. Green Monster smoothie? Tempting, but that would require me to have to clean the blender after and I was just so darn… tired. My solution? A beer. 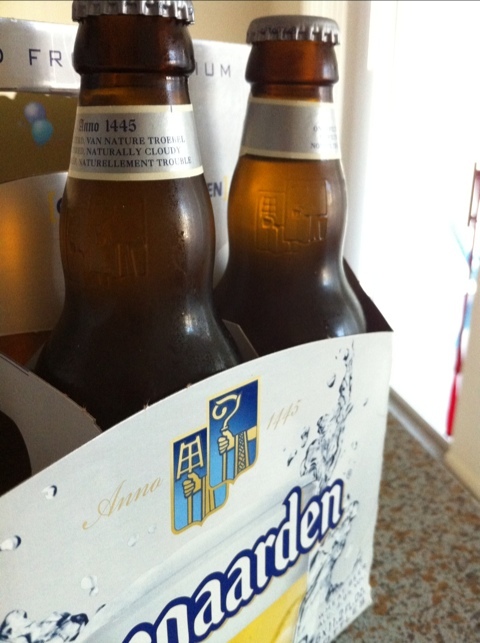 A Hoegaarden to be exact. 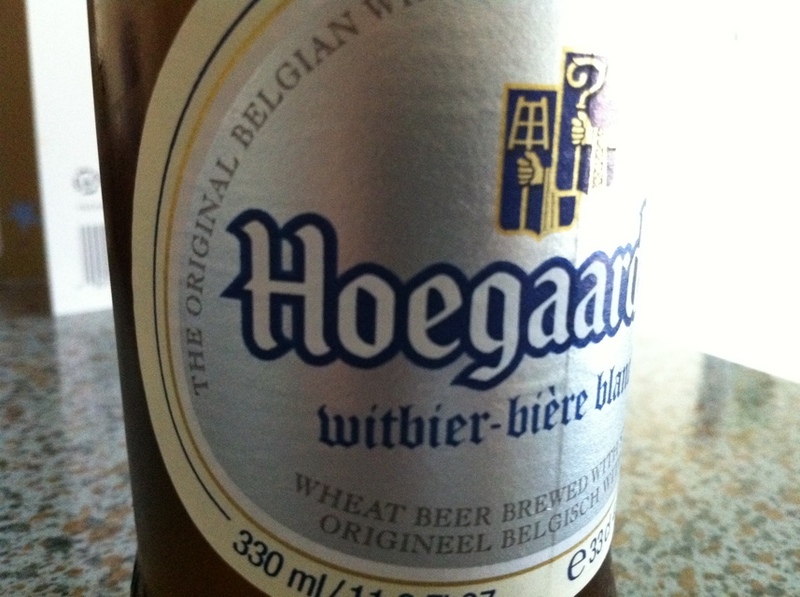 Dennis (my stepfather) would be proud at least (Hoegaarden is his fave). By the time I popped the top off that frosty cold bottle, I knew this was it and that the tiny bit of energy I had in me to use on dinner preparation had just been depleted. I felt a bit guilty. I called Nick and confessed my shameful dinner selection. He laughed and tried to tell me it was okay and that at least it was calories. Deep inside I knew he thought I was nuts, but I had almost finished my bottle by then and a warm blanket of happiness was settling over me (and no I’m not a lightweight, but I hadn’t eaten since noon!). So I left it at that and made no more apologies. Looking back, I still feel a bit guilty, but know that I don’t make a habit of skipping meals. It’s just not the kind of girl I am. I love my breakfast, lunch, dinner, dessert and snacks. Still, I don’t recommend using a beer as a full meal. One beer, a dinner does not make. But at least it was a good beer. What is your go-to meal when you’re tired after a long day?